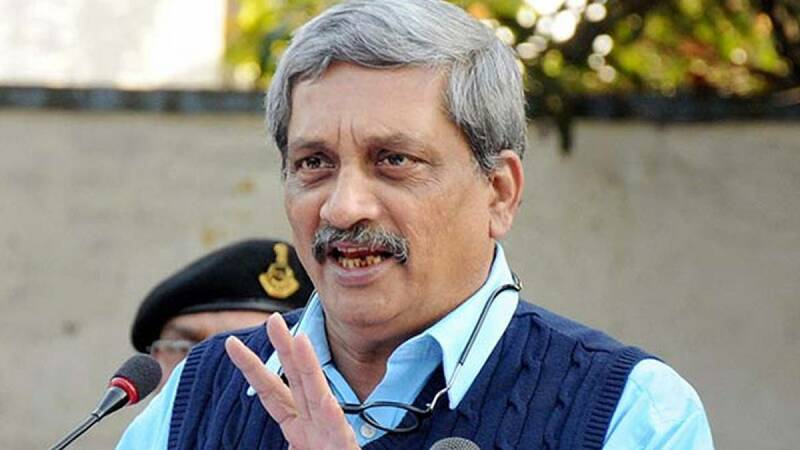 New Delhi : Defence Minister Manohar Parrikar has sought a report from the Indian Navy on Scorpene submarine data leak case. A massive data leak detailing the combat and stealth capabilities of the Indian Navy’s soon-to-be inducted French Scorpene submarines was reported on Wednesday morning. # A data leak has been reported to compromise combat and stealth capabilities of the Indian Navy’s soon-to-be inducted French Scorpene submarines. # Mazgaon Docks Limited (MDL) is building six Scorpene submarines with technology transfer from DCNS of France. # “The stunning leak, which runs to 22,400 pages and has been seen by The Australian, details the entire secret combat capability of the six Scorpene-class submarines that French shipbuilder DCNS has designed for the Indian Navy,” The Australian reported. # The data includes 4,457 pages on the submarine’s underwater sensors, 4,209 pages on its above-water sensors, 4,301 pages on its combat management system, 493 pages on its torpedo launch system and specifications, 6,841 pages on the sub’s communications system and 2,138 on its navigation systems. # The first of the Scorpenes, Kalvari, is currently undergoing sea trials and is scheduled to be commissioned in October this year with the remaining five expected to be rolled out at nine-month intervals.